AVMI launched a new website to mark the growth of its Global Enterprise Framework, a set of services designed to enable enterprise clients to implement and support standardized AV solutions across their organization in a more scalable and cost-effective way. Supported by AVMI’s global offices and sub-contractor network, the service takes a new approach to helping clients achieve their strategic goals by delivering multiple AV projects consistently and simultaneously, at speed and scale. The offering addresses AV standards design, program management, project design and delivery, and includes a 24-hour, follow-the-sun support service, which features over-the-network support capabilities. To support the growing number of enterprise-wide engagements, AVMI also confirmed the appointment of several new management and operational staff in its New York and Hong Kong offices. London-headquartered AVMI, which already has a presence in these cities, also confirmed that it is in the process of relocating both offices into larger premises to better serve the needs of current and future customers, and to accommodate the expected growth within these regions. “We are thrilled about the rapid growth we have experienced in the US and APAC, after only opening the New York and Hong Kong offices in 2016”, commented Ed Cook, CEO, AVMI. “Our international offices play a strategic role in our ability to deliver a seamless service experience for our international clients and customers signed up to our Global Enterprise Framework. We look forward to helping even more clients to capitalize on the strategic benefits that AV technology can bring to their businesses”. 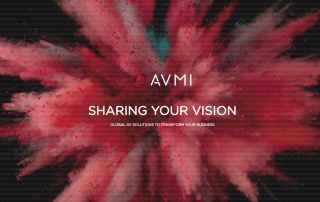 To mark its commitment to servicing enterprise-wide engagements, AVMI has launched a new website. The website reflects AVMI’s desire to support the strategic goals of large organizations with AV solutions and services. The site will also be home to articles and blog posts that will address and answer the challenges companies face in implementing and supporting their global AV strategies. The new website can be found at www.avmi.com.